State and federal health officials believe we are in the midst of a harmful new epidemic. It must be stopped with decisive action. Nicotine is dangerous for young people, whether they smoke or vape. It can damage their learning, attention and memory. Especially insidious are electronic cigarettes, which are highly addictive and also lead teens toward traditional cigarette use. That’s why state and federal health officials are deeply concerned about new data showing e-cigarettes are starting to erase decades of progress in cutting teen smoking. Lawmakers, parents and businesses must do more to keep e-cigarettes away from teens. Although federal law prohibits the sale of e-cigarettes to those under 18, the law alone hasn’t kept this harmful product out of teen hands. An estimated 3.6 million U.S. teens are now using e-cigarettes, representing 1 in 5 high school students and 1 in 20 middle school students, according to the latest federal data. 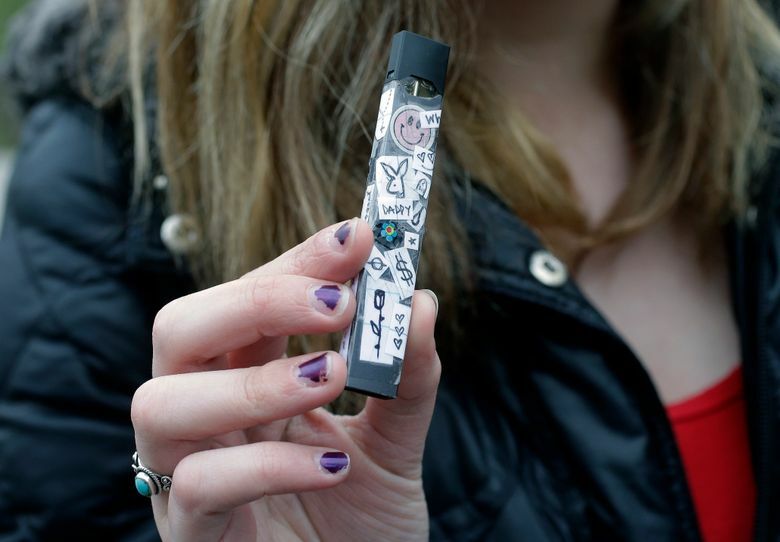 Teen use of e-cigarettes nearly doubled this past year. While only 6 percent of Washington 10th graders reported smoking cigarettes in the 2016 Healthy Youth Survey, 13 percent said they had used e-cigarettes. E-cigarettes are also more popular than traditional cigarettes in 8th and 12th grade, the Washington student survey found. The Food and Drug Administration has already banned candy- and fruit-flavored cigarettes. Flavored e-cigarette cartridges should be next. Washington state officials can help by raising the age to 21 to buy these products — and tobacco — or consider banning the sale of flavored e-cigarettes outright as San Francisco has done. Even teens who never considered picking up a cigarette are reaching for e-cigarettes, or vaping pens. And scientists are certain e-cigarette use leads to regular smoking for many teens: 12- to 17-year-olds who vape are twice as likely to become regular smokers within a year, according to a study in JAMA Pediatrics. In a recent health advisory, U.S. Surgeon General Jerome Adams singled out e-cigarette company Juul, noting that each of that company’s cartridges contains as much nicotine as a pack of traditional cigarettes. Juul’s liquid nicotine mixture provides a more potent nicotine buzz that Adams says can lead to dependence in just a few uses. The company has already curbed its online marketing. Since that is not likely to make enough of a difference, the FDA should follow through with its plans to stop e-cigarette companies from selling flavored products that appeal to children, including those that mimic candy, fruit and alcoholic drinks. State and federal health officials believe we are in the midst of a harmful new epidemic. It must be stopped with decisive action. Too many children are at risk of becoming addicted to nicotine and suffering permanent harm.